If you’re following the real estate market in the Seattle area at all, you probably have come across headlines and news on the current house market, when is the exact “right” time to buy a home is, or the rise or fall of home prices. In an expensive real estate market, it’s common for buyers and sellers to put a pause on the their real estate goals until the more economically ideal opportunity comes their way, which has historically been in different times of the year for the buyer and seller. Overall, this creates a gap in the market...but Seattle has recently seen a shift in the market, creating a more sustainable outcome for both sides. In the second half of 2018, the Seattle real estate market experienced a cool-down, which was frustrating for sellers due to the urgency to lower their listed home prices. Subsequently, sellers dropped their prices, which resulted into homes going off the market. Though this “cool-down” has come to an end in the Seattle area, buyers are encouraged to get a home that has been on the market for several months, under the contract for slightly lower than its original listed price. Despite this cool-down in the fall and winter months, Seattle’s real estate market is expected to experience a continuous rise year over year... just at a more more sustainable level then we've experienced over the last 5 years of double digit home value appreciation. With spring in bloom, this is the time of the year where the real estate markets starts to heat up. In the Seattle area, home prices have been rising at their slowest pace in years, continuing a downward trend that started in the middle of 2018. Recent forecasts have predicted that the median home price in Seattle will rise 2-2.5 % over the next twelve months, compared to rising in double digits annually several years ago. With the slowdown in price appreciation, sellers have been more flexible and eager to negotiate, creating a wider selection of affordable options for buyers in 2019. The comparatively slow rate of prices increasing is in accordance to the national trend, which is also declining. Mortgage rates are also at the lowest they have been in 12 months. Lastly, Incomes in the Seattle area has been on the rise at the same pace as home prices, which has been a monumental shift after six years of home values significantly outpacing wages. Is this “really” the best time to invest in real estate? Despite the few logistical aspects of why 2019 is the year to make an investment, there are innate characteristics of Seattle that add value to your long term investment. Not only has Seattle has grown to be considered a top international metropolitan destination, but it is a leading tech-hub city, that has attracted people from all over the country and world, increasing the Seattle population. This along with other attributes- natural beauty, diversity and good job prospects, this will sustain housing demand for the foreseeable future. Bottom Line - Now is a great time to invest in real estate in Seattle. Home values aren't going to go down anytime soon and interest rates aren't going to get any lower. or join us for our next "Beers + Home Buying" Class to learn about the process of buying a home in Seattle. Thanks for sharing in this journey with me. You don’t feel like you make enough money, you haven’t saved enough, your students loans and debts are a burden and you live in Seattle, one of the most expensive places to live in the country. If this sounds familiar to you, you might question my sanity if I told you might very well be able to (and should) buy a home now. A dip in the market, increased housing inventory and continued historically low mortgage rates = great opportunities for home buyers! I completely understand the hesitation and uncertainty association with becoming a homeowner - in the recent past, you may not have only personally experienced a substantial rise in your rent and cost of living in this highly desirable city but you have likely seen some of the sensational recent headlines, Facebook posts and memes about how pricey real estate has become and how we are becoming the next San Francisco as the median house price is North of $700,000. Lets face it, being constantly fed disappointing news can sour our outlook... but how can you reject something when you don’t have the full story? While I’ve heard plenty from the news about how home Seattle home values have plummeted in the last 8 months, the reality is that they are actually up 2% year-over-year and are expected to continue going up at a similar rate for the foreseeable future, as the Seattle economy and job market is still booming. If you could see the larger context of the Seattle market and take the time to fully understand the home buying process, you may be surprised that it is actually much more doable (and personally beneficial) for many Seattle renters to transition into Seattle area home owners! I recently realized that one of the largest barriers and hesitations for younger Seattleites to buying their own home was that they didn’t think they could afford it or didn’t understand the value and wealth creating potential that home ownership provides. 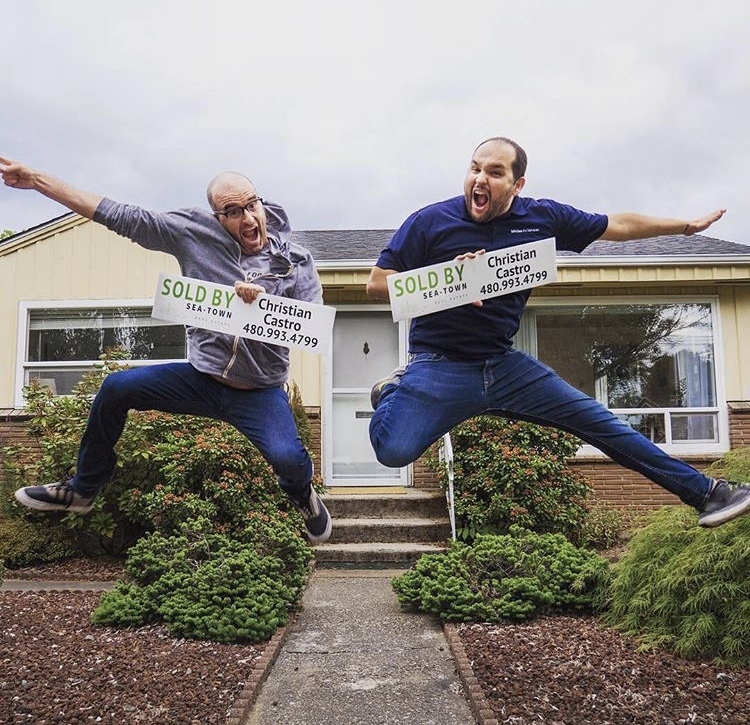 To help dispel some of these rather commonly held beliefs, I decided to create and start a first-time home buying class in West Seattle... to inform, discuss and answer questions all about the process and realities of becoming a homeowner. We meet at The Westy, provide the drinks, appetizers and a fun laid-back class and have aptly called it the “Beers + Home Buying” Class. I’ve partnered with Stephanie Maulding, from Guild Mortgage to explain the first step of the process - getting prequalified for a mortgage. During last weeks initial class, we had a great turn out and were able to answer some real good questions, exchange ideas and experiences over our years in helping our clients with their home ownership needs. If you can afford rent in Seattle, you can likely afford to buy a home. Why pay your landlords mortgage and help them accumulate equity and wealth, when you could be doing that for yourself? You don’t need as much money for a down payment as you probably think you do! The combination of the Seattle housing market having cooled off in the last 8 months, increased number of homes available and still historically low interest rates are providing great opportunity for Home Buyers RIGHT NOW! The feedback from the “Beer + Home Buying” class was so positive and it was such a success that we plan on doing this class monthly. If this may be something you are interested in joining us for in the future,go over to our Facebook page and “like” the Sea-Town Real Estate page, so you’ll see when we post our events each month. Although it is not a new concept in America, the hit Netflix series “Tidying up with Marie Kondo”, has made the art of minimalism mainstream. The show follows the Japanese author and organizing consultant, Marie Kondo, to homes around the U.S., helping families organize and declutter their homes with the simple yet Shinto-inspired “KonMari” method- hold each item in your hands. If it “sparks joy,” keep it. If not, thank it for serving you and give it away to serve someone else and possibly “spark joy” in their life. There is no coincidence that the show was aired on New Years, in the midst of many Americans creating resolutions and ideas of how to improve their lives and wellbeing. Searching the web, you may have come across multiple articles and blogs on the art of purging books and clothes that have not been worn. Though decluttering and minimalism has been brought to light for years with the “hip” and minimalist aesthetic it exudes, the infatuation with the “KonMari” method introduces an issue that goes beyond a simple aesthetic - it is tied primarily to mental health. So, how exactly can decluttering improve one’s mental health? There has been various psychological reasons that have proven why decluttering improves not only your mental, but physical health as well. One is, having too much “stuff” is detrimental to your cognitive control. Studies have shown that habitual hoarders are prone to issues with learning and memory, planning and problem solving. You may also uncover issues or goals that you have been ignoring with the help of the mess covering it up. While decluttering, it’s common to come across language learning material, sentimental photos of friendships that have faded or important financial documents. Finding this and objects that serve no purpose can bring a clearer sense of direction in your life of what is important to you and what’s not. Lastly, living in an organized environment has been tied with improved physical health. Studies have found that those living in a decluttered space, were more likely to be active and make healthier food choices than those who live in a cluttered space, who are more likely to feel tired and snack on junk foods, due in part to the subtle but powerful subconscious anxiousness that living in a state of messiness and disorder causes. With Seattle becoming an increasingly expensive city, there has been a rise of minimalism among Seattleites due not only to the aesthetic appeal of a simple minimalist environment but also the practical need of simply needing to make the most efficient use of living of smaller living spaces. You can already find a wide array of organizing consultants in the Seattle area who are using and advertising the “KonMari” method. 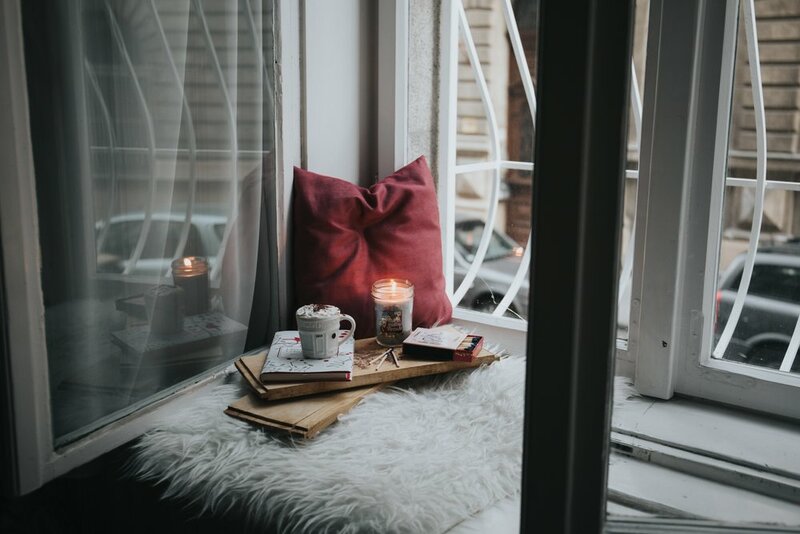 Though it is very possible that this is a hyped up trend or a phase that will soon die out, we need to remember that your environment at home is crucial to your mental and physical health. So, using the “KonMari” method or not, decluttering can be beneficial for one’s mental and physical health. If you feel like you could benefit from a decluttering experience and less mentally draining clutter around your home, consider a free consultation from one of my recent podcast guests, Janis Lemert of Lemert Organizing Company. She specializes in helping individuals and businesses take control of their surroundings, their time, and their systems for life. Though resolutions can give us a clearer sense of direction, researchers say that about 60 percent of us make New Year's resolutions, but only about 8 percent are successful in achieving them. I’m not saying you should be discouraged from making resolutions by this statistic, but I also believe that January holds a deep symbol of a new beginning… by which I mean, taking time to reflect on the past is necessary in order to live your life with intention, learn and grow to become a better person, friend and human. Sometimes when you look back on the year and write out some notable moment and memories, you have the realization you accomplished or did so much more than you credited yourself for. Reflecting on the accomplishments of the past year, we are also given the opportunity to refresh ourselves and make new goals. Not goals for the sake of showing off or "one-upping" our friends on social media, but more as a way to live life with an intention that manifests in your work life, relationship, spiritual and personal life. If I had to boil down my focus for 2019 into a single word, my word would be "impact"! My purpose for starting my own brokerage firm to best serve agents, clients and the community and my purpose for my family and friends can all be summed up in that word... "IMPACT". How to not just survive... but also thrive during the holidays? “It’s the most wonderful time of the year” is a much heard refrain going into the Christmas Season… and I tend to agree. I love the festive holiday season… But this isn’t everyone’s experience. For some, the holidays can be sad reminders of days gone by or missed loved ones. For many of us, it can trigger stress as our perfectionistic tendencies come to the surface in our attempts to find the perfect gift or create a memorable holiday experience through hosting that decorated and catered holiday party. When our minds are consumed with planning get togethers with family, present lists and creating a pleasing holiday dish, we can often forget the priority of self-care. Some of us keep the term “self-care” sacred to us while others are unfamiliar with it. Self-care isn’t just important for your health mentally and physically… it also affects those around you (for better or worse). When society tells us it’s that time of year to start giving back (something I try to do all year-long) and spreading holiday cheer, that can be increasingly challenging if you don’t have the energy, are stressed out or feeling depressed; All things “self-care” can help you if you’re eating right, getting enough sleep, living an active lifestyle and finding ways to “unplug” and cope with the things that create stress in your life. Self-care needs to be an essential part of your daily routine because not only will you feel better and think clearer, you first need to have the resources and energy available when wanting to offer or give back. The term “self-care” has been commercialized in the form of expensive green juices, yoga wear and gym memberships, when really it is your own, individual way of enhancing your overall well-being. Individuals like myself who don’t necessarily enjoy working out, can only settle for exercise alternatives if it is enjoyable and rewarding at the same time. This is how my own self-care regime came about; early morning wake ups for brisk bicycle rides with a friend of mine. I started cycling in high-school as my primary mode of transportation. Then got into Mt. biking in my twenties, having built up my own bike frame up using a hard-tail Cannondale CAD 3 frame. Riding that bike was great and a lot of fun... until some A-hole cut the cable and stole it in the middle of the night from the side of our West Seattle house :( Moving on from that incident, I just recently invested in a Trek Crossrip 3 “cross bike”. My-oh-my has bicycle technology come a long ways in the last couple of decades! This bike actually makes rides fun and relatively effortless... until I have to go up a hill. Despite my exhausting attempt of overachieving, bicycling has been a healthy way for me to get outside, get a good workout and enjoy the company of my friends. From finding this balance of mental and physical activity and enjoyment, I have cultivated my own self-care regime. As 2018 comes near to its end, what are you doing to create better "self-care" routines? I've Launched My Own Independent West Seattle Real Estate Brokerage! It's been over a year since I've sent out an email to this distribution list for "The Sea-Town Monthly" and boy has a lot happened since then! In January of 2017, I took and passed my Managing Broker License, left the RE Brokerage I was at and officially launched Sea-Town Real Estate! After working out of my home office for a couple weeks, I quickly realized that arrangement wasn't going to work (too many distractions with a wife and kid at home) and was fortunate to find an cozy office space in the Admiral District of West Seattle to lease for my new Indie Brokerage endeavor. This space worked great for me for several months as I built out the foundation of my brokerage, until I brought on my first agent (and his assistant) and I was suddenly at capacity for the tiny office. The need for growth now outweighed the need to keep the overhead low... fortunately, a much larger space across the hall from me was available. After negotiating the terms, I signed a new lease and invested some money in really fixing up the space to fit the clean modern industrial look I was going for. Now I have a much larger 1,400 square foot office space with a spacious common area for community events, meetings and flex-space and 3 good sized office spaces for other agents. With having just recently finished the office details and signage for our new space, we are throwing a Sea-Town Real Estate Grand Opening Celebration coupled with showcasing a friends artwork for the evening of the November West Seattle Artwalk (more details about the monthly WS Artwalk). Come celebrate with us on the evening of November 9th (5-9PM) with free Georgetown Beer and local wine, check-out our new space and the artwork of local artist, Ben Calhoun. 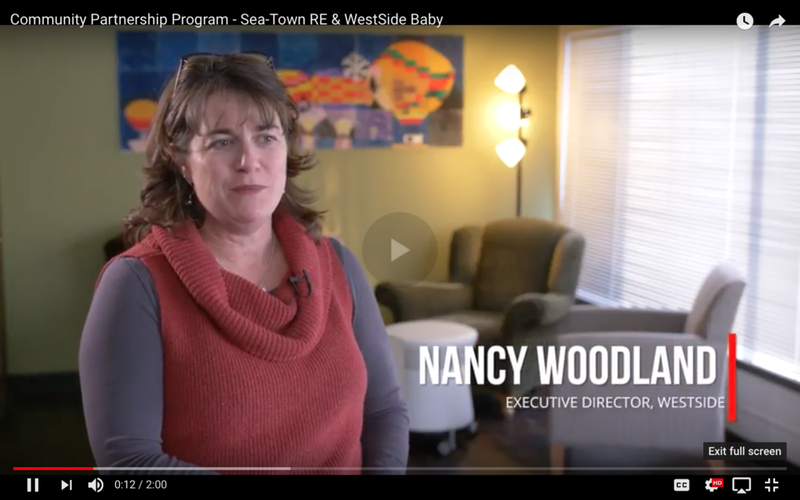 There are so many exciting things we are implementing and working on to roll out at Sea-Town Real Estate but one of the most exciting things right now is our Community Partnership Program, where we partner with local non-profits to help create content for their marketing efforts and raise awareness by shooting a short video for them, highlighting what they do to serve the community. We also commit to donating 25% of the proceeds of any real estate purchase or sale, back to our non-profit partner, that is a result of them referring a client to Sea-Town Real Estate. We have also built charitable giving into our business model by donating a portion of each home sale's proceeds to a local non-profit of our clients choice. I'm also still going strong hosting the Sea-Town Podcast (currently on Episode 43! ), where I interview Seattle business owners and community leaders to help them share their stories with their customer or clients and the community at large. Read more about the frustration and pain that was the catalyst for me opening my own Tech Enabled Real Estate Brokerage and my passion and mission to make impact in our write up on the West Seattle Blog HERE. Until next time, be well and hope to see you at our Grand Opening Event this week!